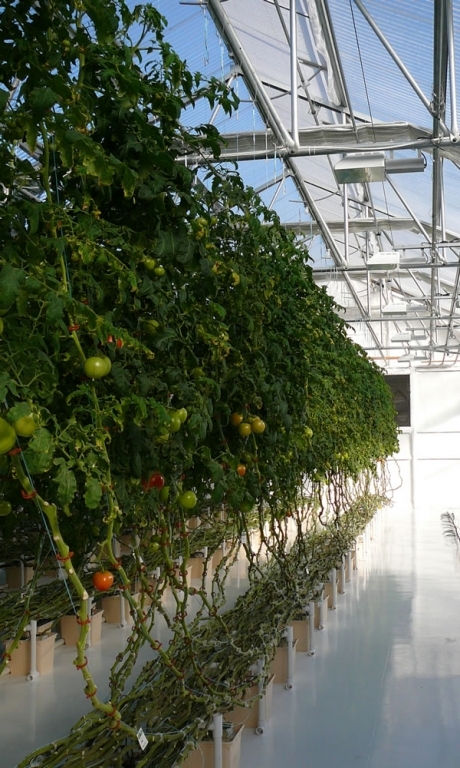 By using the ageless Dutch Bucket hydroponic system, indoor or greenhouse farmers can grow high-quality vine vegetables that are larger and healthier than those grown outdoors in soil. For peppers, tomatoes, cucumbers, strawberries and other vine plants, recirculating vine crop systems will produce more vegetables while using fewer resources and re-using both nutrients and water. A closed Dutch Bucket system (AmHydro’s 210 VC System) involves 10 Bato Buckets, freestanding galvanized steel table frames to hold buckets; a commercial Truncheon Conductivity Meter for measuring and monitoring nutrient levels; plumbing; growing medium; an ABS reservoir and all associated accessories. By accessing our vast knowledge and extensive experience, ATI and its vendor partners can have you up and producing vine vegetables in a very short time. And by using world-class techniques for growing, marketing and distributing your products, ATI can help you to realize profits and making growing vegetables a sideline or a full-fledged career, if you desire.